First Single 'I've Got Time For You' Out Today! 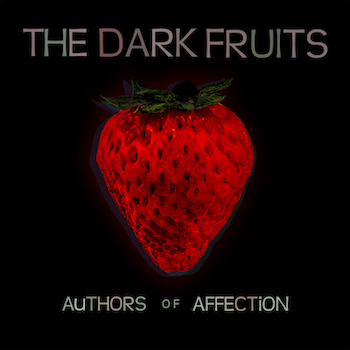 Yukon indie rockers The Dark Fruits are excited to announce the independent release of their debut album Authors of Affection on March 1st. The band's first single ‘I’ve Got Time For You’ is available today on all streaming services and digital retailers after it premiered yesterday on Live in Limbo. 'I’ve Got Time For You' is a fun, quirky gem of a pop song (think Weezer meets The Cars) and the video does its best to convey the upbeat vibe of the track with all all-star cast of characters from Whitehorse, including local journalist Tara McCarthy, reigning Sourdough Sam Daniel O’Shea and Gurdeep Pandher, Yukon’s Bhangra-dancing artist and viral video-making community builder. "My original idea for this video was a Brady Bunch knock-off, where we featured a diverse cast of characters all singing the song to each other in different frames," says lead vocalist Jeff Wolosewich. "I liked the fun feel of that idea, but then I realized it was going to be a technical challenge to produce and, more importantly, it didn’t present an obvious story to tell. I stayed with the headshot idea and started thinking of the Max Headroom from the 80s, and then it hit me: the video should be a newscast. I felt that the lyrics lent themselves well to being a news/weather script. 'Holy, look! The sun shot a glare…' isn’t exactly typical weatherperson banter, but the idea worked and once I found it, the script came together super fast." Although 'I’ve Got Time For You’ is The Dark Fruits' first official single from Authors of Affection, it’s not the first song to be released from the album. A video for the the album's lead track 'Stuck On You' was shot for Music Yukon and Yukon Film Society's 48 Hour Music Video Challenge last year, and it won the Audience Choice Award in September 2018.